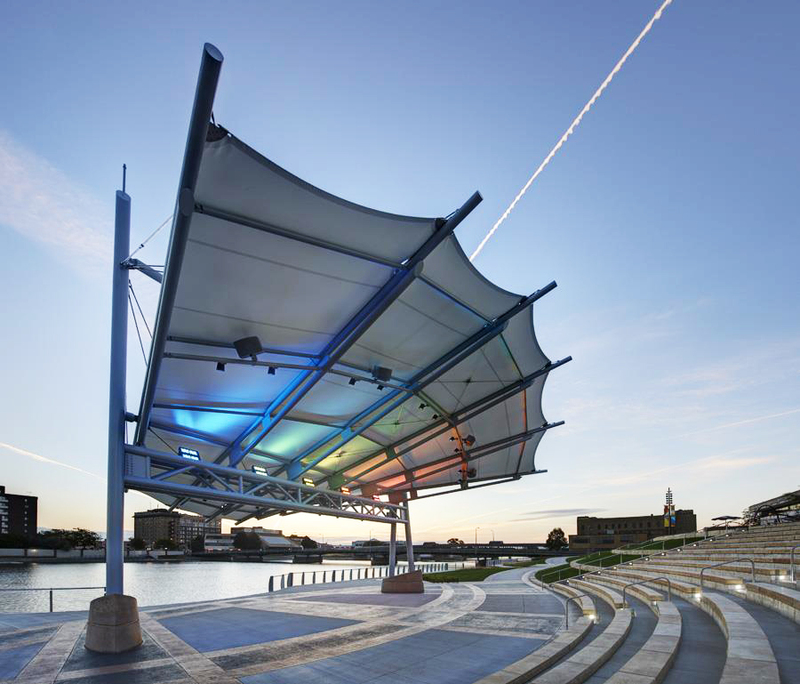 The Amphitheatre and Expo Plaza are ideal for outdoor concerts, weddings, festivals, fundraisers, and corporate events. The RiverLoop Amphitheatre is located along the Cedar River next to the Waterloo Center for the Arts, Phelps Youth Pavilion, and Mark’s Park. This beautiful outdoor venue holds approximately 600 in the general fixed seating area and can accommodate groups up to 1,000 or more. 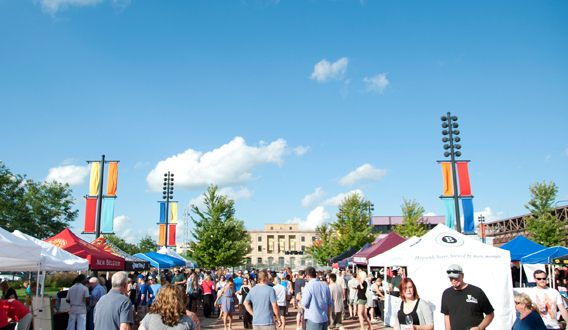 The RiverLoop Expo Plaza is located at the corner of Park Avenue and Jefferson Street in downtown Waterloo and offers a large open space that can accommodate up to 5,000. Mark’s Park is located next to the RiverLoop Amphitheatre and offers a splash pad and play structures for kids ages 12 and under. Free and open to the public seasonally. Check out upcoming RiverLoop events!